Gov. 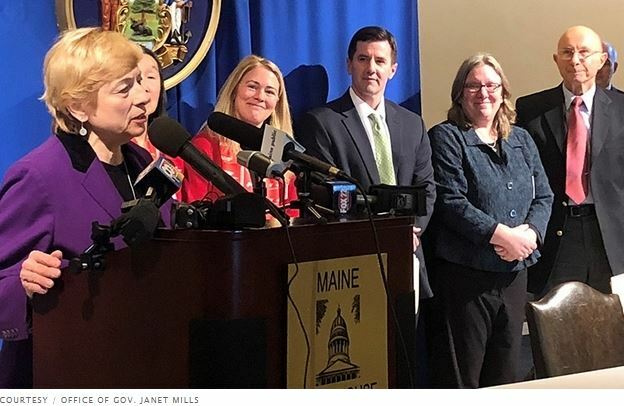 Janet Mills and Maine Treasurer Henry Beck plan to move forward with the sale of $15 million in senior housing bonds that were approved by voters three years ago but have yet to be tapped. In November 2015, 69 percent of voters endorsed the $15 million borrowing package in order to help pay for construction of 225 units of badly needed senior housing and to weatherize or repair existing buildings. But in the years that followed, then-Gov. Paul LePage offered a range of reasons – some financial, others political – for his refusal to authorize the sale of the bonds. Mills and Beck – both Democrats – indicated this week that they plan to act on the bonds. “Governor Mills intends to sign the senior housing bonds in the coming weeks and, moving forward, will authorize the sale of voter-approved bonds in a timely manner,” said Mills spokesman Scott Ogden.